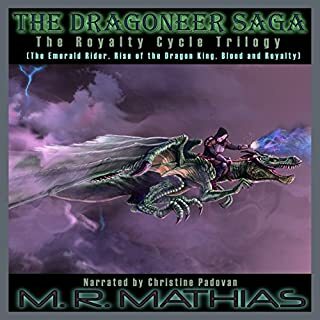 This set brings an end to the saga of Jenka, Zahrellion, Aikira, Marcherion, Clover, Rikky, and their dragons in a gripping finale so intense, you might have to close your eyes while you listen! No matter what you do, hold on to your dragon, for this series just might be the ride of your life. What would have made Dragoneer Saga - The Royalty Cycle Boxed Set: Books, 4, 5, and 6 better? Having a narrator that can actually read the story properly. What was most disappointing about M.R. Mathias’s story? Would you be willing to try another one of Christine Padovan’s performances? No, not unless she got some training in proper book narration. What character would you cut from Dragoneer Saga - The Royalty Cycle Boxed Set: Books, 4, 5, and 6? I don't know which characters could've been cut because I couldn't listen to the story for more than 30 min. The narration was so bad I couldn't even give a fair review of the story. I tried to listen to this audio book 3 times. I couldn't get any further then 30 min. into the story. The narrator was terrible. I can't believe the author allow this to be put on the market like this. I really feel bad giving this book such a bad review, but the narration was so bad I can't in good conscience recommend this book to anyone. The story maybe good. But I could never get Past the narration long enough to find out. It was just too distracting and offputting for me.Note: I received a review copy of this book in exchange for a fair and honest review. Lannick deVeers used to be somebody. A hero, even. Then, he ran afoul of the kingdom's most powerful general and the cost he paid was nearly too much to bear. In the years that followed, his grief turned him into a shadow of his former self, and he spent his days drowning his regrets in tankards of ale. But now an unexpected encounter casts Lannick upon an unlikely path to revenge. If he can just find the strength to overcome the many mistakes of his past, he can seize the chance to become a hero once more. Would you consider the audio edition of What Remains of Heroes to be better than the print version? It's hard to say because Andrew Tell does such a great job narrating this story. What was one of the most memorable moments of What Remains of Heroes? What does Andrew Tell bring to the story that you wouldn’t experience if you just read the book? He gives you a sense of who the characters are through his voice performance that I don't think you would get from just reading the book. 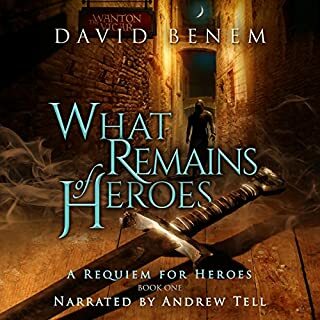 In What Remains of Heroes, David Benem weaves a classic fantasy tale of reluctant heroes caught up in events almost beyond their understanding. Benem's characters are well-developed and memorable, and the author's vibrant descriptions of his setting gives life to the world he has created, which keeps things interesting for the reader. This book is well-written with nice pacing. The storyline is interesting from the beginning until the end. I enjoyed the story so much that I finished it in 3 days. But more importantly, I was disappointed when the book was finished. I really wanted more, which is always another sign of great storytelling. As a longtime fan of the fantasy genre, I agree with what many of the other reviews have said.This book (along with a few others I have read this year) has rekindled my interest in reading more fantasy fiction. The opening scenes of this novel with Lannick really resonated with me because we've all known someone who has become disillusioned with their life and longs for their glory days. This is the second audio book I've listened to narrated by Andrew Tell, and once again Tell delivers a solid performance. He does an excellent job interpreting the fictional language created by the author. If you're a fantasy fan, I think you will thoroughly enjoy this book and I highly recommend it. I can't wait for the next book in the series. I'll definitely be buying it when it comes out. Note: I received a free copy of this book in exchange for a fair and honest review. Motivation is both simple and complex. The definition itself is simple - the internal process and external factors that drive us toward a given goal. The ideas behind and the nuances within motivation, however, are complicated. There are professors out there who have spent years, endless hours researching and documenting motivation, trying to figure out what exactly it is that drives the human mind forward. I think this book may be helpful for someone who has never read any other book on personal development. Has If You're a Loser, Then Quit turned you off from other books in this genre? I have to be honest; I really wanted to like this book, but it was just too thin on content for me to recommend it to anyone. This book was just disappointing. 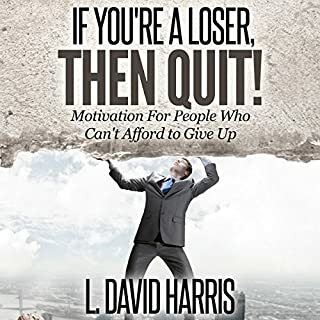 If You're a Loser, Then Quit is almost too short to be considered a book. The content would be more appropriate for a keynote speech rather than a book. As I was reading it, I couldn't shake the feeling that the only reason the author wrote it was to create an extra revenue stream for himself. The book covers all the standard topics you'd expect, from goal setting to how to stay motivated. The only problem is the book is so short that the author didn't cover any single topic in any significant detail, which makes the book kind of useless. For example, when the author discusses SMART goals, he explains what the acronym stands for, but he doesn't give the reader any examples of how to write down your goals using the formula, nor does he suggest any methods for measuring your progress. The only people who "might" get something out of this book are those who've never read personal development books before There's absolutely nothing new or unique about this book. If you're a voracious reader of books on personal development, then this book will be nothing but a waste of your time and money. Note: I received a free review copy of this book in exchange for a fair and honest review. If you could sum up The Personal MBA: Master the Art of Business in three words, what would they be? If you are easily intimidated by business, this book will help you get over your fear. 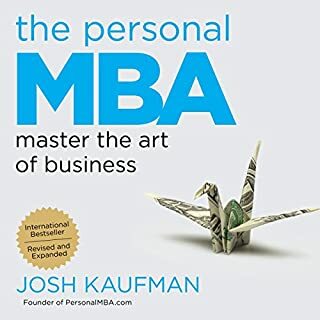 Josh Kaufman clearly explains complicated business concepts and makes them easy to understand. It is definitely a must read for anyone who is new to business. If I would've found this book years ago, it would've saved me from 1000 problems I've had over the years. It covers everything from product development to marketing in detail. But most importantly, it defines commonly used business terms in everyday language. I highly recommend this book for anyone who is new to business and is struggling to understand it all. What did you love best about Nightblade? I loved how much it reminded me of James Cavell's Shogun. What about Andrew Tell’s performance did you like? This has to be one of the best books I've read all year. It's awesome! This book reminds me of James Clavell's Shogun. If Shogun took place in a fantasy setting and had some metaphysical elements thrown in, it would be this book. If you like stories about the samurai or you like military fiction, you'll probably enjoy this book. This book has an interesting plot and interesting characters. I love it and I can't recommend it highly enough. I'll definitely be buying the follow-up book. Note: I received a free review copy of this book in return for a fair and honest review. When the last of the Remnant is murdered at the Sagrada Familia in Barcelona, Arkane agent Dr. Morgan Sierra is drawn into the hunt for a supernatural Key. She's joined by Agent Jake Timber, who must face his own fears as they decipher clues left behind by Kabbalist scholars. 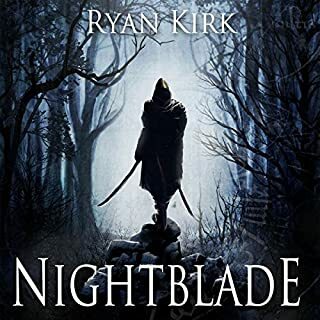 From ancient sites in Spain to Israel and the Czech Republic, Morgan and Jake must follow the trail to the Key while evading Adam Kadmon, a man consumed by a lust for dark power. 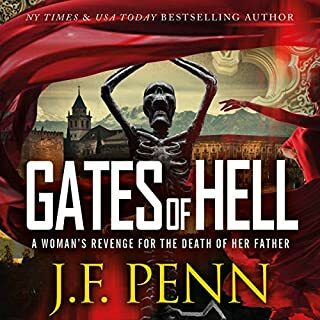 What did you love best about Gates of Hell? I absolutely love the amount of detailed research the author puts into her books. Yes, I want to find out what happens to Jake and Morgan. What three words best describe Veronica Giguere’s performance? I'm a big fan of J. F. Penn's nonfiction work, so I thought I would give her fiction a try. As someone who's interested in mysticism and Kabbalah, I thought the overall story was pretty good. The author has done a decent amount of research into Jewish mysticism, which gives the story a nice layer of detail. The only real problem I had with this book was I felt the narrator's performance came up a little short. The action scenes weren't read with the energy and passion that I would've expected. Plus, the narrators British accents were terrible. All of this made the whole experience a bit less enjoyable for me. However, I still enjoyed the story enough that I intend to buy the rest of the series. Note: I received a free review copy of this book in return for a fair and honest review. 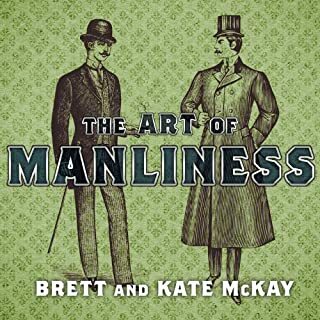 Authors Brett and Kate McKay provide a guide for every 21st-century man to achieve true manliness and live life to its full potential. If you're looking to brush up on your basic manly etiquette, I highly recommend this book. If you could give Mastery a new subtitle, what would it be? 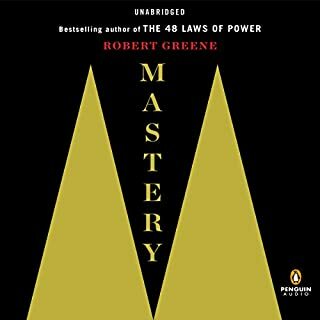 This book gives excellent advice to anyone who is trying to master any skill. Whether you're trying to master a skill or just improve it, this book will definitely help you.